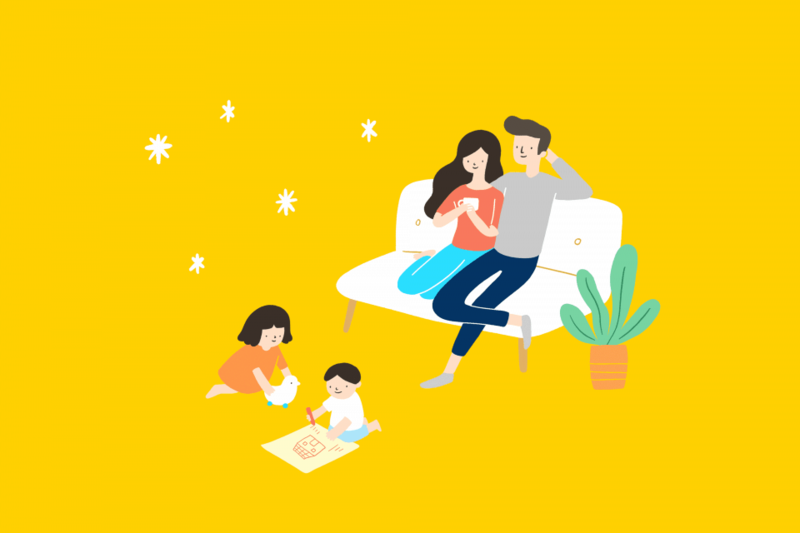 Livinwall’s Air Purifying Paint was conceptualised and formulated by a passionate group of innovators from Singapore who strongly believes that paints can and should do more for you. 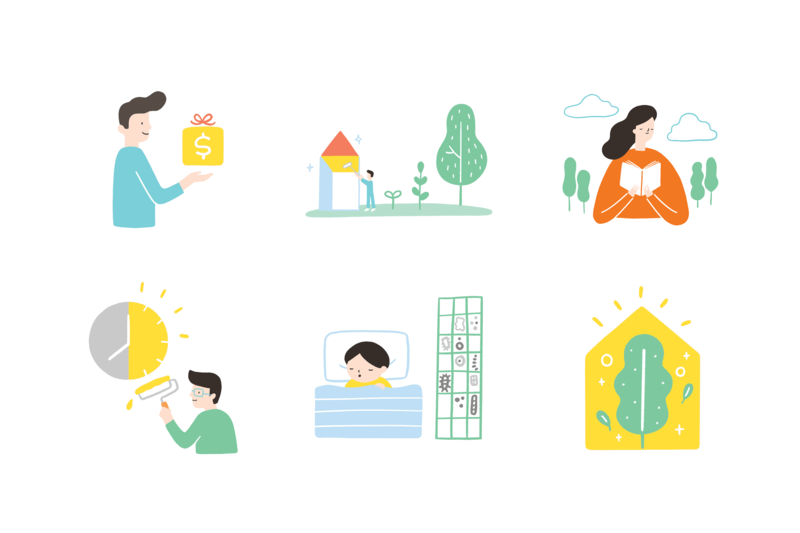 We were commissioned to represent this values with a new brand name – Gush! 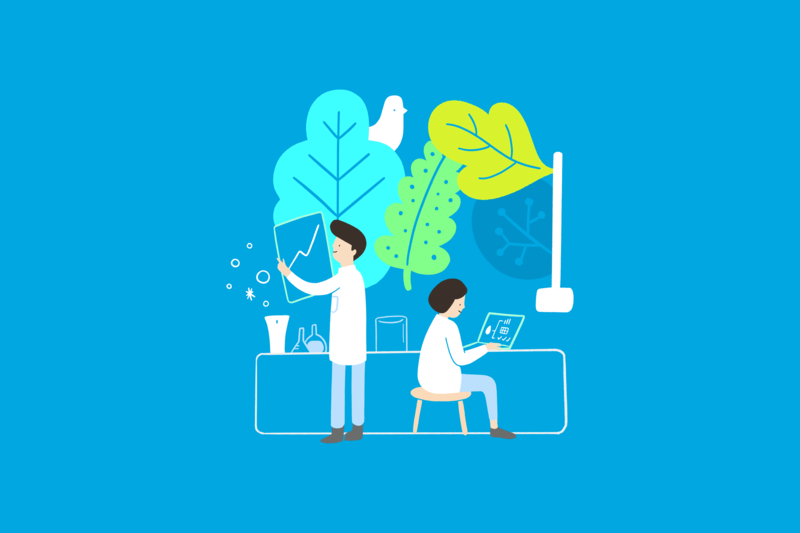 – and also conceptualised a bespoke brand and its visual strategy to communicated a homely warmth to its scientific health benefits. As a relatively new brand amongst many other household names, the clean slate meant we could create with distinct intent. 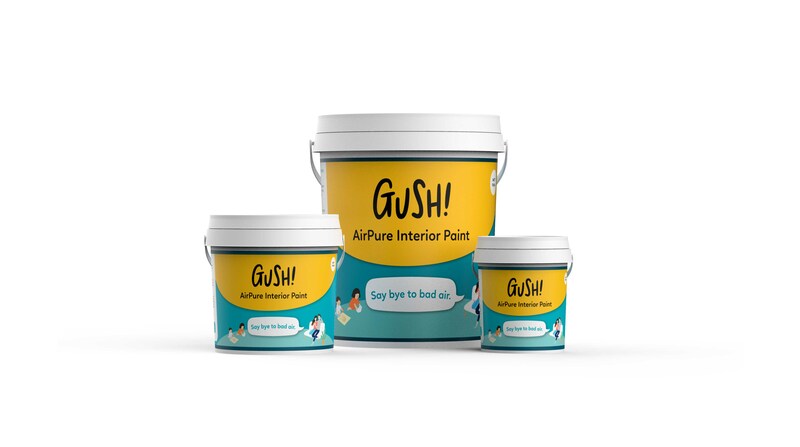 As a paint brand focused on a younger eco and health-conscious audience, Gush! was the sweet, simple and catchy brand name chosen after several rounds of ideation. 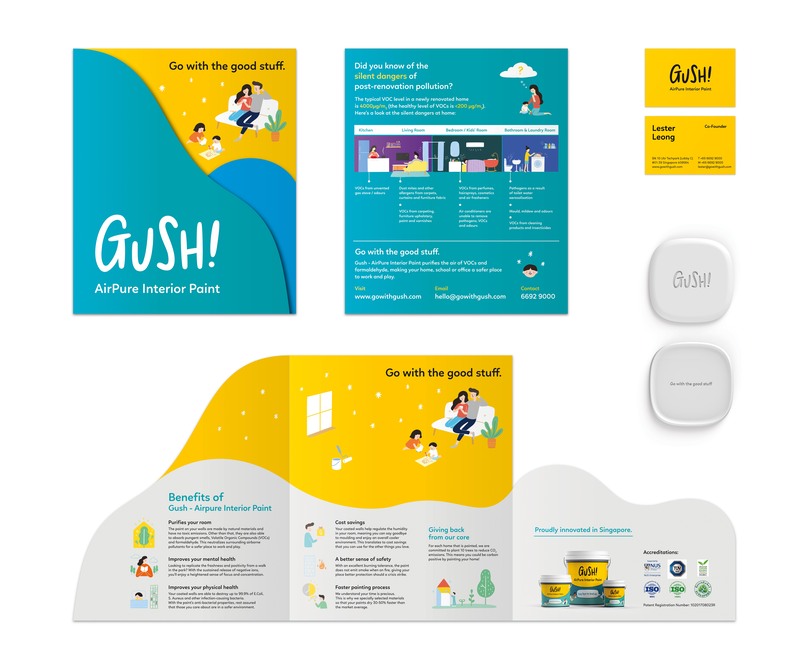 Coupled with hand-drawn illustrations to communicate the brand story and unique paint benefits, Gush! carries a youthful energy that is driven by bringing both colour and authentic health benefits to its customers.